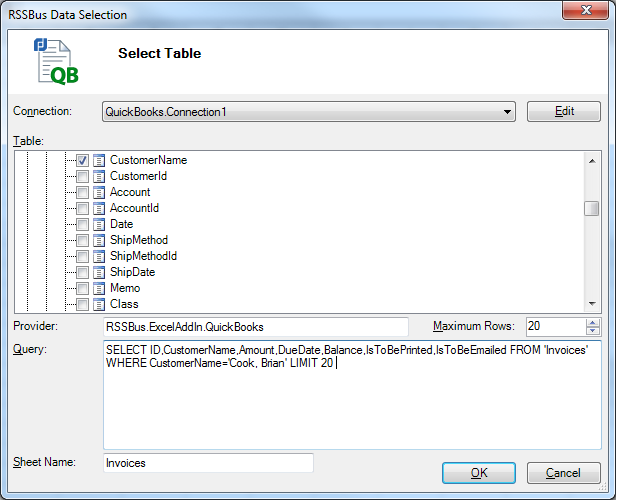 The CData Excel Add-In for QuickBooks makes it easy to modify your QuickBooks data right in Excel. This article explains how to mark multiple Invoices for printing and e-mailing. The CData Excel Add-In for QuickBooks simplifies bulk updates: Retrieve the fields you need, edit, then save. Updating records in this manner is very helpful when managing multiple transactions at once. This kind of mass update is not limited to just these fields; this technique can be used for most editable fields in QuickBooks. 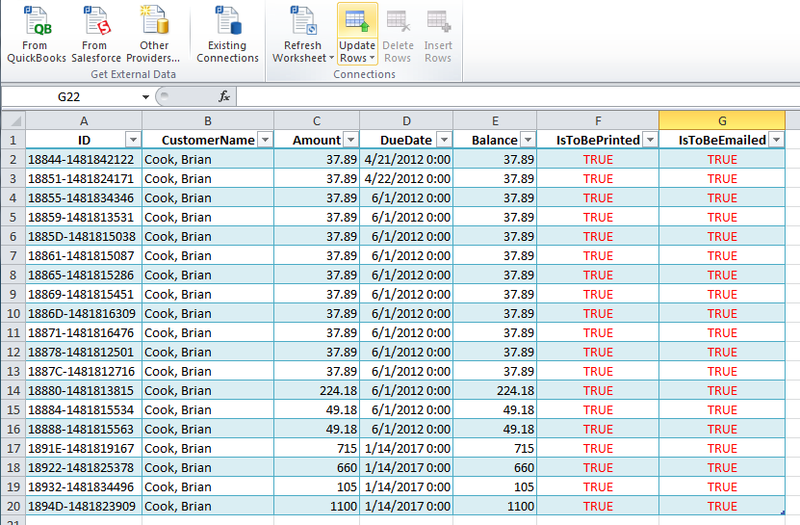 After you have retrieved the Invoices, you can now change the state of the IsToBePrinted column and IsToBeEmailed columns. After you have made the changes you want, highlight the updated rows, and click the "Update Rows" button in the CData tab. 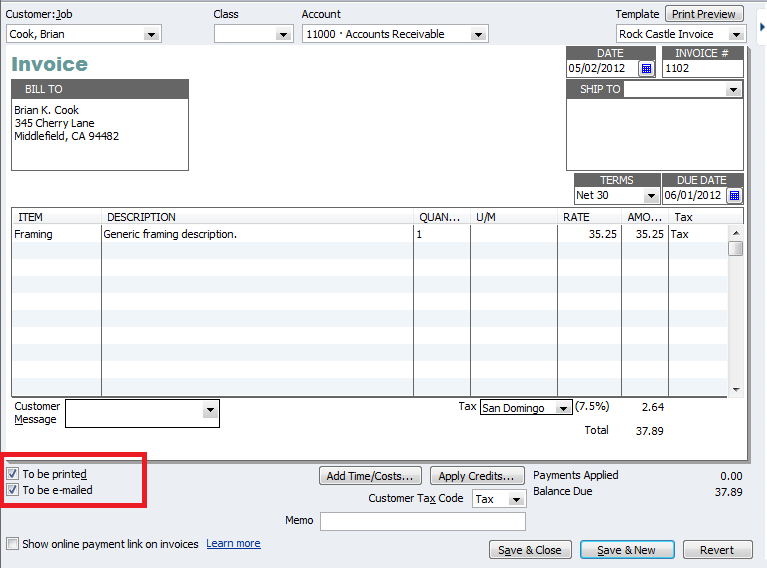 You can open the same Invoices in QuickBooks and see your changes.